Pheobe and Zara have been working together in the gym to develop and perfect their first place winning routine. This is under the watchful eye of head coach Jane, who has worked hard with the girls to bring them up the standard set by pairs across the country. The girls first port of call was to qualify for the competition and they did this with style, taking 1st place in the Northern Ireland national Development competition. This led to them competing their routine at the British Finals in Stoke on Trent. 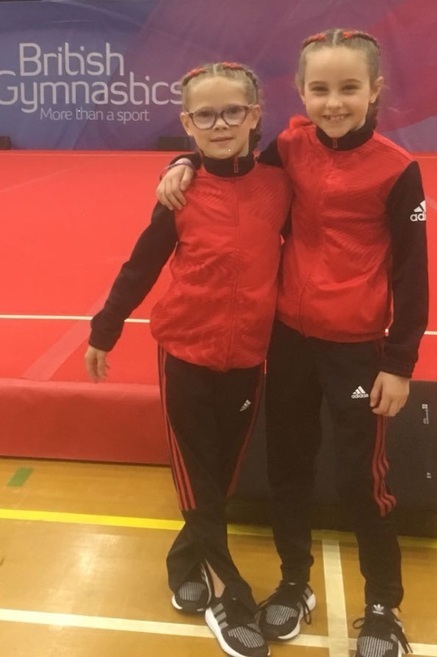 The girls finished overall in 10th place in Great Britain with a very commendable score of 25.9 in their specific discipline (level 1 pairs Acro). A very big well done to the girls on their achievements and best of luck in all future competitions.